Eva's Village (http://www.EvasVillage.org), a comprehensive New Jersey anti-poverty charity, is serving more than 500 hot meals daily in a facility built to serve 240. Local Paterson, NJ small businesses Machinery Services Corp. (http://www.servicer.com) and Rapid Pump & Meter Service Co., Inc., (http://www.rapidservice.com) help to meet the challenge, while more charitable donations are sought. Sister Gloria Perez, Executive Director of Eva's Village, a nonprofit providing many model anti-poverty programs in New Jersey, describes a dramatic increase in meals served at Eva's Kitchen, the soup kitchen of Eva's Village, as "heartbreaking". Recently, over 500 people were served in one day where previously, the need averaged just 350. Other programs at Eva's Village are also experiencing a dramatic increase in the numbers of New Jersey's homeless and working poor seeking assistance. The Hope Residence for Mothers and Children, a program providing housing and extensive counseling services to thirty mothers and seventy children was recently expanded and it is already overflowing. The Eva's Village Primary Care Clinic is seeing an increase in those seeking medical and dental care at this totally free clinic, one of only five in all of New Jersey, the most densely populated state in America. Sister Gloria says, "Our mission at Eva's Village is to help the poor of New Jersey, and despite the alarming increase in need that we are experiencing this year, we simply must find a way to meet the challenge." The Hope Residence for Mothers and Children expansion alone added more than $1 million dollars to the Eva's Village operating budget, and providing more than twice the number of daily hot lunches in Eva's Kitchen not only doubles the need for food, but also doubles the time required of staff and volunteers. Yet as the crises grows, Sister Gloria sees hope in the increased support from the local business community. In particular, she cites the sponsorship of the Eva's Village annual fundraising Gala by Machinery Services Corp. and Rapid Pump & Meter Service Co., Inc., local Paterson, NJ businesses owned and operated by a family with local roots and a determination to help their community. Donna Marie Fico, Chief Marketing Officer at Eva's Village, notes that while Eva's Village draws on many sources of funding, grants and sponsorships from larger corporations are suffering in the current economic crisis, making the generous and consistent charitable giving from local businesses the most secure financial base for the many anti-poverty programs provided at Eva's Village. Ms. Fico points out that successful local business donors like Machinery Services Corp. and Rapid Pump & Meter Service Co., Inc., are very astute in their giving, saying, "Local donors want to know their support is used wisely, and we work very hard to meet their expectations." Ms. Fico reports that as one of the most comprehensive and effective anti-poverty organizations in the state of New Jersey, Eva's Village receives high marks for efficiency, including a second consecutive Four-Star rating by Charity Navigator, indicating that Eva's Village "Exceeds industry standards and outperforms most charities in America" (Charity Navigator). Originally a New Jersey soup kitchen, Eva's Village was founded in 1982 by Msgr. Vincent E. Puma in response to the increasing incidence of homelessness in Paterson, NJ. But Msgr. Puma soon realized that another New Jersey soup kitchen was not enough. With the generous support of thousands of donors and private and government grants, Eva's Village has grown into the most respected anti-poverty program in New Jersey. For more information on the "Visions of Hope" Gala Dinner sponsored by Machinery Services Corp. and Rapid Pump & Meter Service Co., Inc., contact: Joey Mazza, Special Events Coordinator - Phone: (973) 523-6220 Ext. 235 Fax (973) 825-7297, Email Joey.Mazza(at)evasvillage.org. 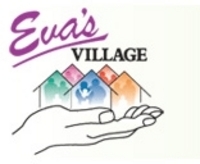 To donate to this NJ Charity, or for more information about Eva's Village, call (973)-523-6220, go to evasvillage.org or write to: Donna Fico, Chief Marketing Officer, Eva's Village, 393 Main Street, Paterson, NJ, 07501. Eva's Village Recovery Center for the Homeless NJEva's Village Homeless Shelter NJ Machinery Services Corp.